One of the most incredible places in North India, Bir Billing is definitely a great option out of the various best places to visit in May. A heaven for paragliders, the place is one of the best adventure in India. Both Bir and Billing are 14 kilometers away from each other. Where Bir is the landing spot, Billing serves as the take-off spot. 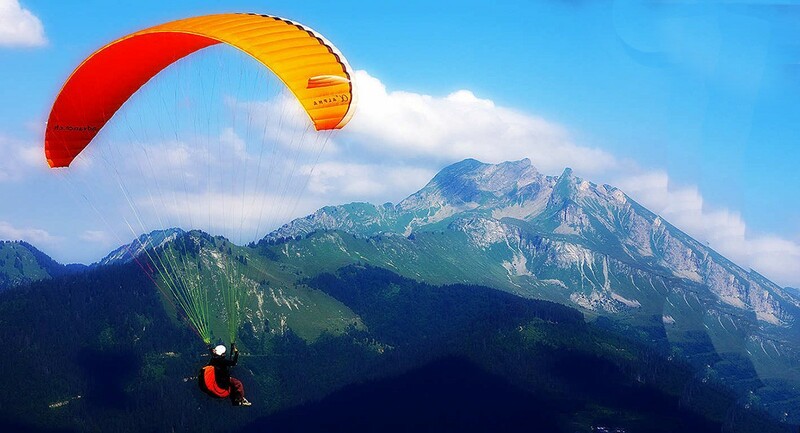 Bir Billing together make a thrilling combination for paragliding destination in India. Weather in May: During May, Bir Billing offers the most suitable weather for exploring the place in summers. The temperature ranges from 11°C to 25°C during that period. Things to do: Paragliding in Bir Billing, sightseeing around Bir, river crossing, Billing and Barot, rock climbing, and rappelling, among others. Major attractions: Bir Tea Factory, Chokling Monastery and Sherab Ling Monastery. Moving one step closer towards the Mother Nature, Mcleodganj makes another perfect place to visit in India in May. It can be explore with family, friends and even in a solo trip. Mcleodganj is positioned in the foothills of Himalayas. The place is a hub to the rare combination of both adventurers and people who wish to enjoy a peaceful ambience. Weather in May: The best time to get out and explore this adventurous city is summers. Mcleodganj in that period experiences an average temperature ranging from 22°C to 38°C. Things to do: Boating in Dal Lake, sightseeing tour of the city, trekking, camping, and hiking on Triund, visit Shiva Cafe and shopping in the local markets. Major attractions: Tsuglagkhang, Namgyal Monastery, Tibetan Museum, Bhagsu Falls, Triund, Dal Lake, Bhagsu Nag temple, and Church of St. John. One of the best places in India to visit in May, Spiti literally means ‘The Middle Land’. Bestowed abundantly with natural beauty, this place should be on the bucket list of every Indian. Spiti is also a home to one of the oldest monasteries, panoramic landscapes and rugged motorable roads. Weather in May: Summers are considered perfect to visit Spiti, as it faces extreme weather conditions in winters. The average temperature of the place ranges from 18°C to 25°C. 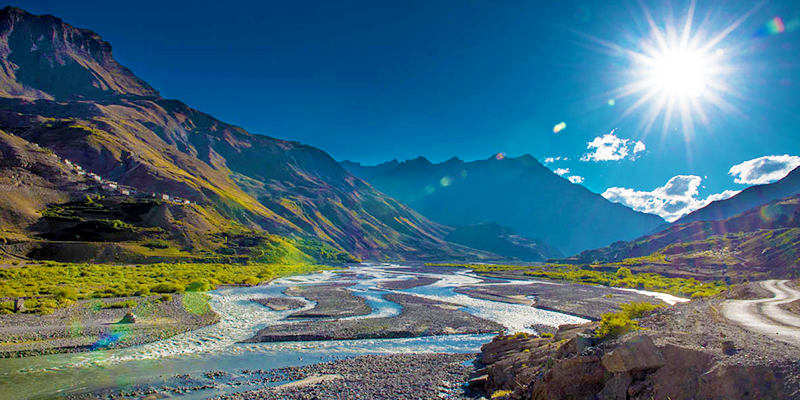 Things to do: Tour around Spiti Valley, bike ride and camp at Chandratal, river rafting in Spiti and Pin, trekking to Hampta Pass, explore the flora and fauna in Pin Valley National Park, trek to Dhankar Lake and more. Major Attractions: Dhankar Gompa, Lahaul Valley, Kye Monastery, Chandratal Lake, Pin Valley National Park, Trilokinath Temple and Komick Village. This little heaven called Kerala is not just the best tourist place to visit in May, but also a great option in India for honeymoon. The place boasts of an amazing coastline stretch of around 600 Km. It is a perfect blend of mountains, nature, backwaters and beaches lined with palm trees. 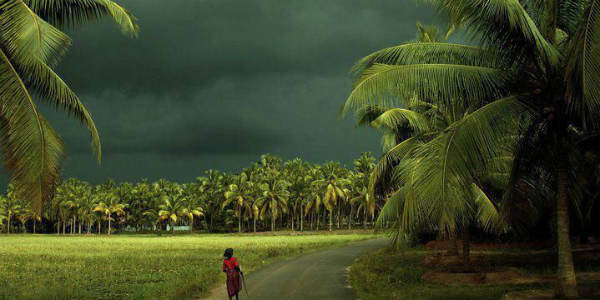 Weather in May: Due to the presence of coastal breeze and bustling backwater, summers in Kerala are pleasantly mild. The temperature in that period ranges from 22°C to 35°C. Things to do: Tour to tea estates, Kathakali dance performance, houseboat ride in the backwaters, learning Kalaripayattu techniques and getting an ayurveda massage. Major Attractions: Munnar, Thekkady, Periyar National Park, Fort Kochi, Bekal Fort, Kovalam beaches, Alleppey, and others. Yet another picturesque hill station of Uttarakhand, Kausani is resting high on the top and is about 1800 meters above the sea level. Known for its peaceful and serene aura, the hill town is fenced by a thick cover of pine trees. 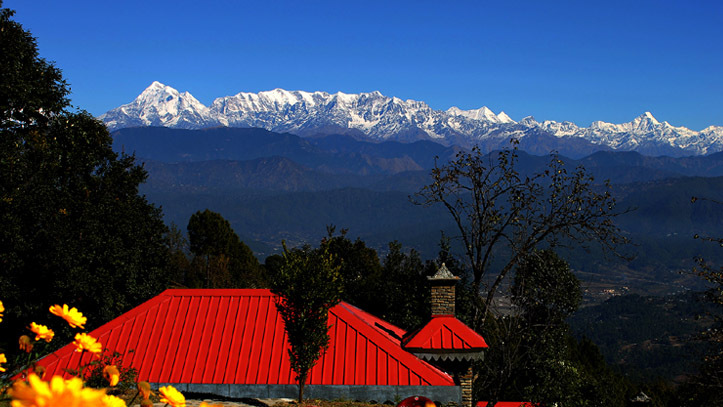 Unlike other popular hill stations in India, Kausani is completely free of huge crowds. Weather in May: During the summer season, Kausani enjoys a moderate temperature. The average temperature of the place lies between 9°C to 26°C. Things to do: Sunrise at Nanda Devi, bird watching, trekking to Adi Kailash and Bageshwar to Sunderdhunga, and more. Major Attractions: Gandhi Ashram, pear farms and tea estates in Kausani, Rudradhari Falls & Caves, Anasakti Ashram and Baijnath Temple. Got some suggestions? Let us know in the comment section below. A Delhi-based travel blogger, Deep Narang is on a mission to inspire other travel enthusiasts to pack their bags and explore the world. Having a deep passion for unexplored places, he looks forward to explore and write about the lesser known destinations. Along with his worldwide travel experiences, his blogs also include smart tips on how to travel like a local. You got to check out his travel blogs to know about the most beautiful destinations in the world.